Want to glue your tires the same way the pros at Cyclocrossworld do it? The Cyclocrossworld Professional Tubular Glue Kit gives you all of the tools you need to glue your tires. 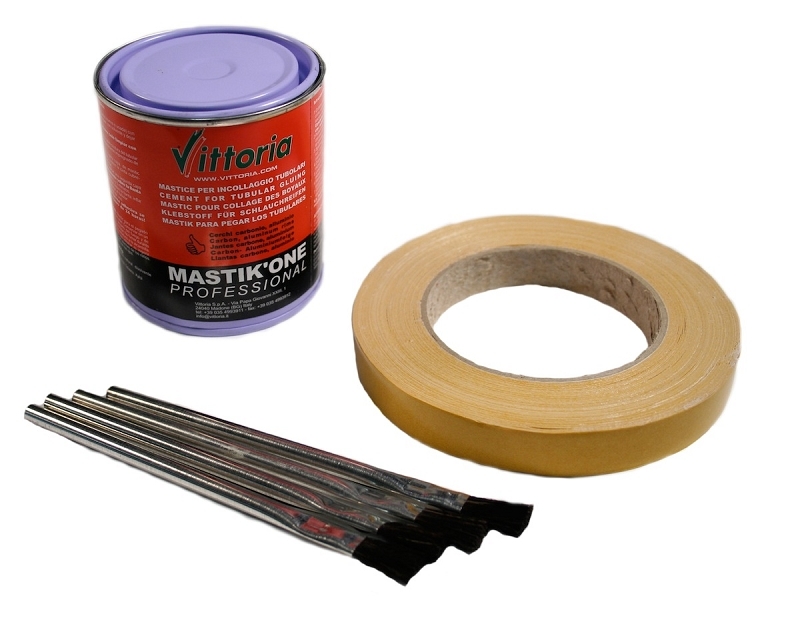 Including a can of Vittoria’s Mastik One professional tubular glue, a large roll of Thorne Products’ exclusive Belgian Tubular Tape, three acid brushes. The Professional Tubular Glue Kit ensures you have everything in the box to glue your tires quickly and effectively. Each product has been used over and over again by the professional mechanics at Cyclocrossworld, and take it from us, they work!